Country Line Dancing Honky Tonks, Dance Halls, Country Dance Instructors, Songs and Dances, Monnie's Homepage with Beats Per Minute! I HOPE Y'ALL LIKE THIS WEB SITE FOR DANCE AND SONG INFORMATION! Country Dancing Site with Dances, Dance Halls, Honky Tonks, Dance Instructors, Recommended Songs & BPM's! LESSONS EVERY Tuesday, the Western Dance Club have dance lessons from 6:45-9:30pm at Appleton VFW. IN THE MADISON, WI AREA! Mike & Deb Moe Dance Lessons! Country Two-Step, etc. If you're not from Texas, TEXAS WANTS YOU ANYWAY! If you gonna dance in Texas, you better have a fiddle in the live band! Enjoy the people, enjoy the weather AND ESPECIALLY ENJOY THE LIVE MUSIC AND DANCIN'! Saturday, 20 Apr. at the Cotton Club in Granger, TX - The Debonaires Band $10. 9pm-? Sunday, 28 Apr. 2019 at VFW Geronimo, TX - Paul Sanchez band 3-6:30pm $8. Geronimo VFW at 6808 N. Hwy. 123, Geronimo, TX - Small kitchen open @ 2PM on Sundays! Fri. May 3 - Dry Gulch @ Circle 'B' (6:15 dance lesson) Dance 7-10:30pm(Free Coffee)Snack Welcome! CHECK OUT THE DANCE HALLS THROUGH-OUT THE COUNTRY! 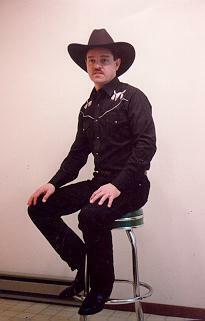 I'm a country dancer in the Central Texas and Southeastern Wisconsin Region. (Milwaukee, Kewaskum, Cedarburg, Horicon, Beaver Dam, Mayville, Fond du Lac, Oshkosh, Appleton). I also dance in the Texas Hill Country (Wimberley, New Braunfels, San Marcos, Dripping Springs, Blanco, Kendalia, Geronimo, Seguin, Austin & San Antonio). @@@@N-O-T-I-C-E! @@@@ HAVE A GREAT WINTER! AND KEEP ON DANCIN'! <<<<< KEEP ON DANCIN'! Especially, C-O-U-N-T-R-Y! --Conways in New Braunfels, TX on Tuesdays - Country Two-Step. --Large "parque" wood tile dance floor. --Medium size wood dance floor. --Large size wood dance floor. D.J. only. --GIDDY UPS! @ 512.280.4732 in Austin, TX. --MAVERICKS @ 512.514.5650 in Pflugerville, TX. --Medium size wood dance floor. D.J. only. --Large wood dance floor. Best "country dancing" on RODEO event nights. --Medium size wood floor - d.j. & live band. Nice dancehall, good dance music! --"Race track" type wood dance floor. --Dances only 1st Sat. of each month 8:00-12 - All Live Country Bands! --Large wood dance floor. No BYOB, Beer, Wine, Water & Soda available. No A/C! --Medium size wood dance floor. No BYOB allowed. All beverages, snacks available. --Dances on Thurs., Friday & Saturday 8:30-Midnight - All Live Country Bands! --No Dance Floor - Just for your Listening Pleasure! --Outdoor Pavilion - Rough concrete dance floor. Many teenagers. --Huge Wood Dance Floor (6000 sq. ft.)! No A/C! --Medium size floor & No A/C. Dances: 2nd Sat. of the month. 8-Midnight. --Large smooth concrete dance floor. --BYOB & beer. Only water & soda available. --Narrow concrete dance floor, low ceiling- Poor dance etiquette. Good bands, though! --Medium size linoleum dance floor - two posts. Beer, wine, water & soda available. --Large wood dance floor! Beer, wine, water & soda available. --Large wood dance floor! BYOB- Beer, wine, water, soda & snacks available. --Call before going, not always a band playing. --Small size wood dance floor. Smoking permitted in this establishment. --Medium size wood dance floor. Beer, wine, water & soda available. --Medium size wood dance floor. No BYOB! --Medium size ROUGH wood dance floor. --Medium size concrete floor. No cover. Thurs., Fri., & Sat. --No real dance floor but good and loud music! --Large wood dance floor! Call before going, sometimes private parties. R E M I N D E R!! Hope you can make it to the Silver Center - Seguin, TX, Friday, 19 Apr.